If you do your due diligence and get your flu shot each year, you may have noticed a disturbing fact: oftentimes, you and those around you still end up getting the flu anyway! Why does this happen? Well, the truth is that the flu virus, like any living organism, wants to survive. In order to continue thriving in spite of the flu vaccine, the virus must change and mutate into different strains that are different than the vaccine. This means that each flu season, various strains of the flu virus circulates throughout the country, causing severe headaches, chills, fever, cough, sore throat, and total exhaustion- sometimes, even for those who have taken the flu shot!. 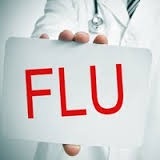 Not surprising, nutrition holds the key to preparing your immune system to fend off flu. A pH-balanced, healthy diet rich in Foundation Foods and regular exercise, is a great place to start. But some foods are particularly well-suited for building immunity, and here are six of them. Garlic is an ancient remedy for keeping disease at bay. Research confirms its reputation- When 46 volunteers took daily during cold and flu season(November-February), those who ate garlic had significantly fewer colds than those who took a placebo. The garlic group also recovered more quickly when they did get sick. Carrots are an excellent source of beta-carotene, and they can easily be used in more than just salads. Try to avoid processed dips and salad dressings. If you like to dip your carrot sicks, instead, try a yogurt-based dip or hummus. Spinach contain nutrients that are vital for maintaining a healthy immune system: beta- carotene, vitamins E, C, A, and K, copper, and iron. Don't worry about the oxalate content of spinach unless kidney stones are a problem for you. Oxalate do not leech calcium from the bones, but laboratory studies have shown that oxalate may interfere with calcium absorption. However, the reduction is relatively small and should not prevent you from eating spinach, which contains so many valuable nutrients. Mushrooms are a powerful immune-boosting food. These versatile little fungi were significantly shown to promote the maturation of white blood cells in mice. In addition, the same study showed an increased proliferation of T-cells in mice that were fed mushrooms. Another rich source of Vitamin C (more than oranges). Kiwis also contain Vitamin E, which helps protect your body from pathogenic infections. In fact, research shows that alpha-tocopherol, one of the four tocopherols that make up Vitamin E, benefits the molecules and enzymes of human immune cells, increasing immunity against respiratory infection. Nice, I'll try this, do you guys write on recipes and food too... I'll like to see something new.